Just under a year ago, FX announced a forthcoming animated series dedicated to Marvel's Deadpool, to be penned by Donald Glover. Unfortunately, ten months after the announcement was made, it appears as though the series will not be executed as originally planned. As reported, the network released a statement explaining that "due to creative differences," Glover and his brother Stephen are walking away from the project. FX released a statement on Saturday (March 24), reading, "Due to creative differences, FX, Donald Glover, Stephen Glover and Marvel Television have agreed to part ways on Marvel's Deadpool animated series, FX will no longer be involved with the project. FX and Marvel have an ongoing relationship through our partnership on Legion, which will continue." Per Variety, the studio behind Archer was on board to animate the Deadpool series but production reportedly hadn't yet begun. Speculation also has it that Glover's schedule could have played a factor as well. 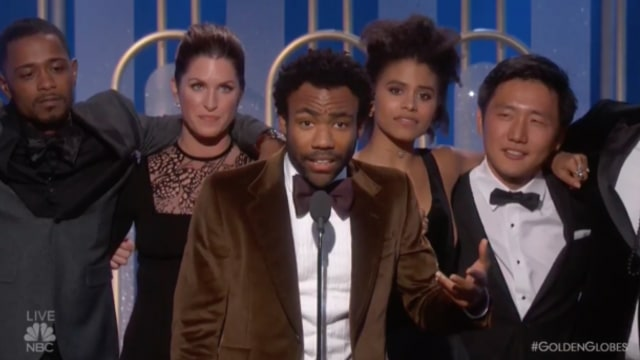 He recently finished shooting the second season of Atlanta and Solo: A Star Wars Story, as well as will be contributing the voice of Simba in the live-action Lion King production and is heading out on tour this fall as Childish Gambino. You know, #life.